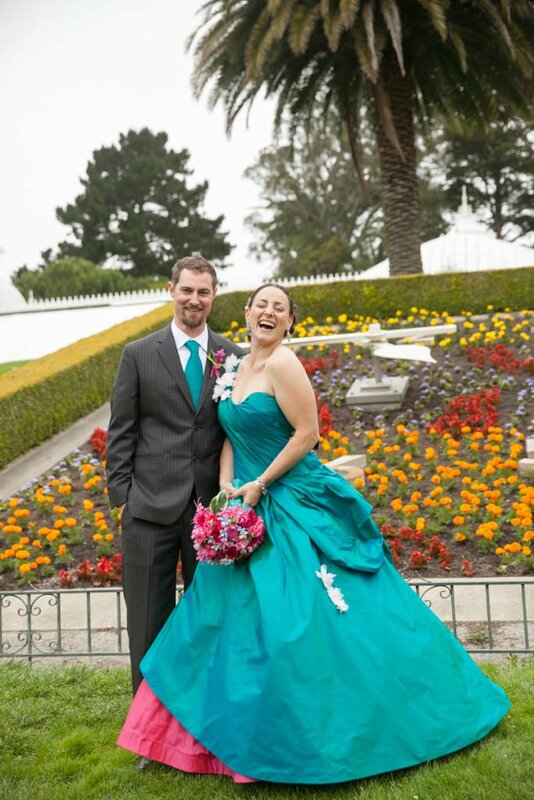 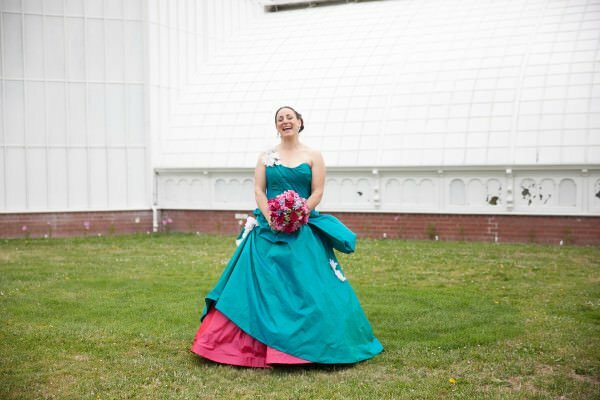 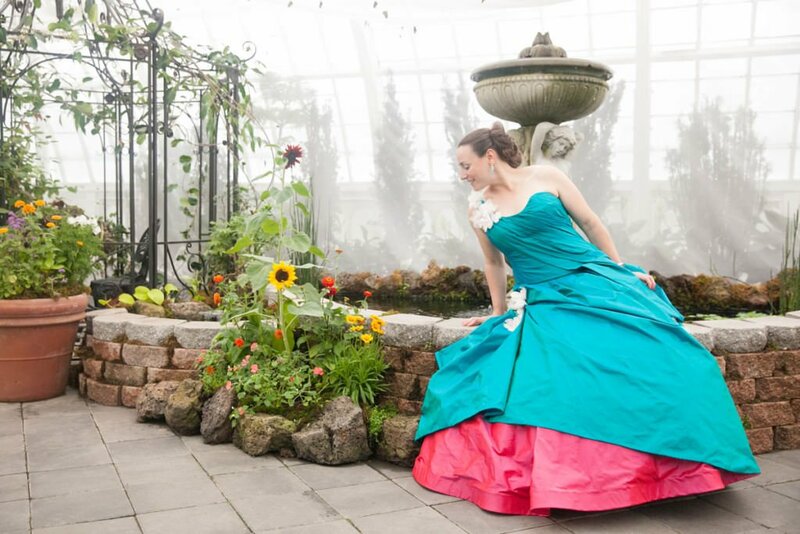 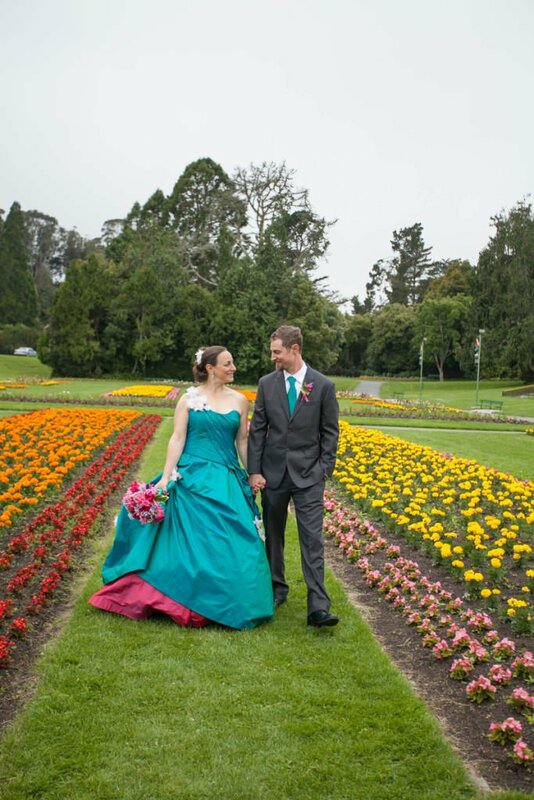 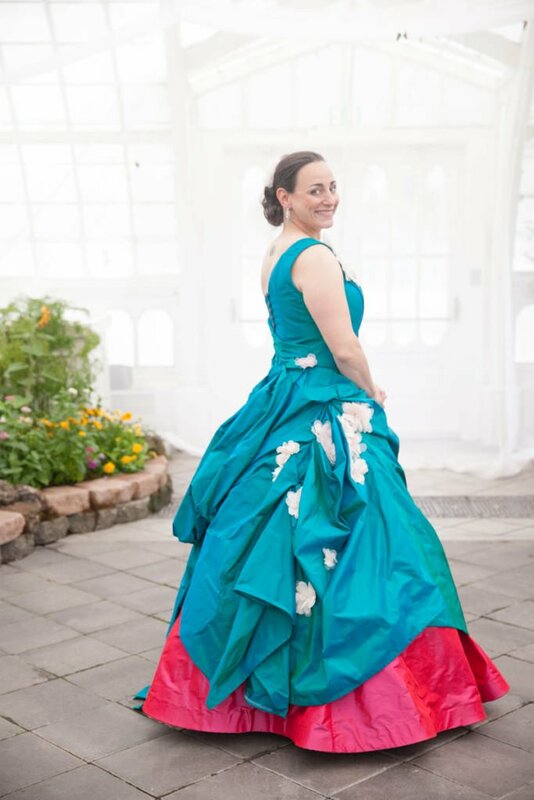 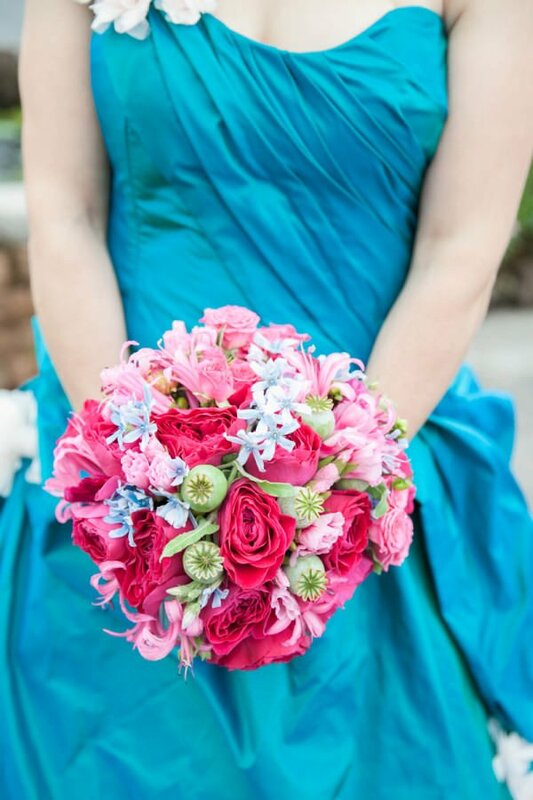 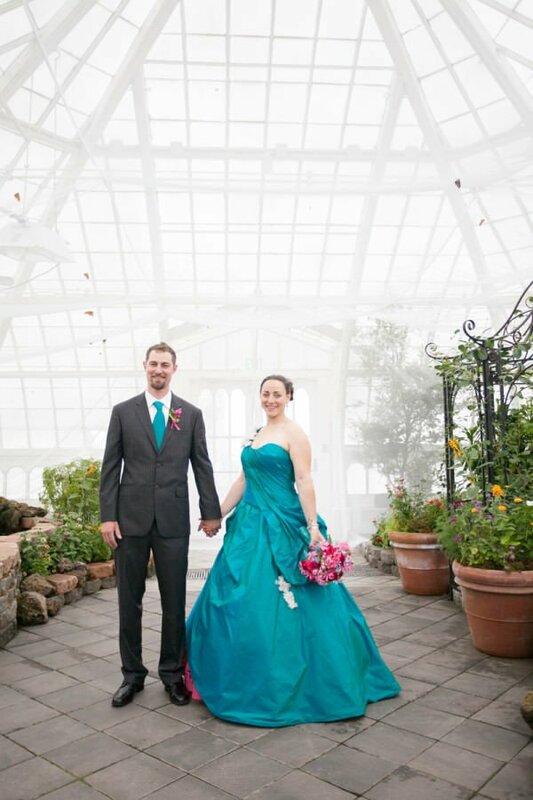 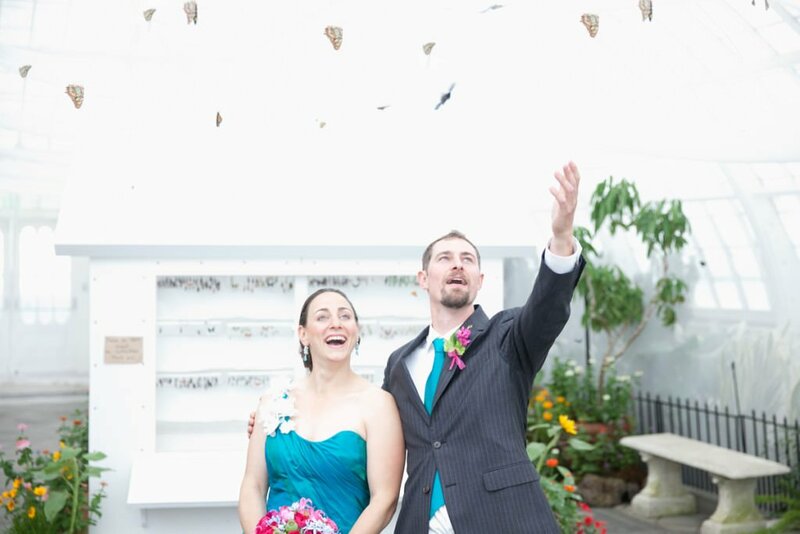 Bride Lavinia wanted to make a colorful splash with her pink and turquoise wedding gown. The colors are simply stunning in silk taffeta with an iridescent effect. 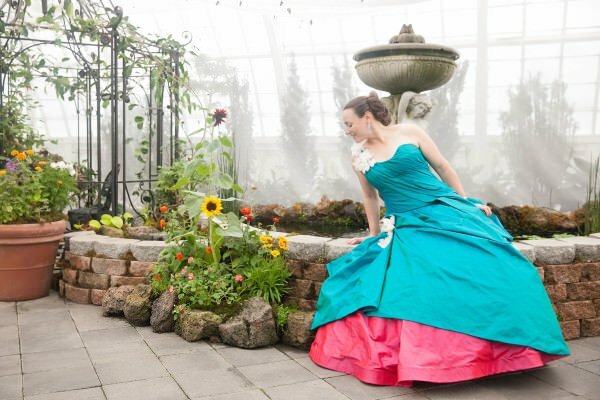 This couture, full-skirted wedding gown features a sweetheart neckline with tucks and ruffles for a dramatic final look. 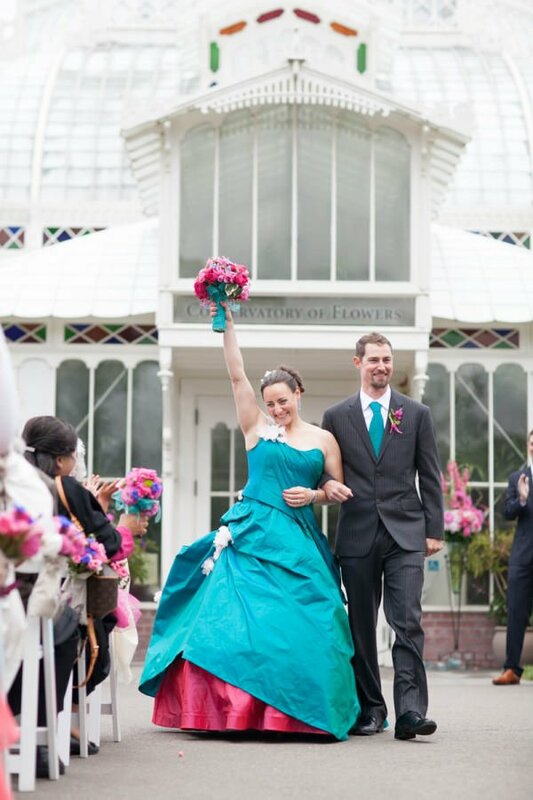 The gown is complete with bright floral appliqués that cascade down the gown’s full skirt.